I was born and grew up in Luxembourg. By the time I was 19 and had finished high school, I knew that I wanted to move abroad for university because Luxembourg was too small. It's a lovely country, very safe, clean, and rich, but there was nothing left for me to explore. So I moved to Sheffield, the UK, to do my bachelor's degree. I'd never been to Sheffield before, so that was exciting! I had an amazing experience there. It's a great place to study in. For my first master's, I moved to London in 2014. I absolutely loved living in London. The hustle and bustle of the city excites me! There's always something new to see or to do. Then, in the summer of 2015, I lived in Lausanne, Switzerland for 2 months. I liked the surroundings there, the lake and mountains are picturesque. However, it reminded me too much of Luxembourg. I tend to shy away from people who are very well-off, because I usually don't fit in with them. That's kind of the feeling I got when I lived in Switzerland. But that's just me! I'm sure other people find it amazing to live there. It's just not my favourite place. For my second master's degree, I moved to Rotterdam in the Netherlands. I'd been there on holiday many times, so no surprises there. The city itself is awesome, with loads to do, especially as a student. My favourite thing about Rotterdam was getting around on a bike! Nevertheless, I didn't want to stay there because of the weather. I'm a hot weather person, and the Netherlands definitely did not have a lot of hot weather! So I got a job in Madrid and moved to Spain. I had been studying Spanish for a year and thought it would be great to practice by moving there. Plus, I had heard rumours about the sunny weather! I got here a week before I was due to start working, so I had some time to explore. I walked around Madrid, trying to construct a picture of it in my head. I was so lucky that it was really sunny in January when I arrived! In the evenings, I attended language exchange meet ups, where I practiced speaking Spanish with a local, and the local could practice their English with me. I met a few people who became good friends at these meet ups! It's all about finding the right people to make the new place feel like home. I think it can be really lonely at times, when you're in an unfamiliar place without your friends, family, or anyone who you can talk to, at the beginning. That's why the first thing I try to do when I move to a new place is to meet as many new people as possible. If you're at university, it's easier, because meet ups are always organised for you, but as a working person, you have to be proactive about it. If meet ups aren't your thing, take up a hobby as soon as possible, so you can meet people you have something in common with! 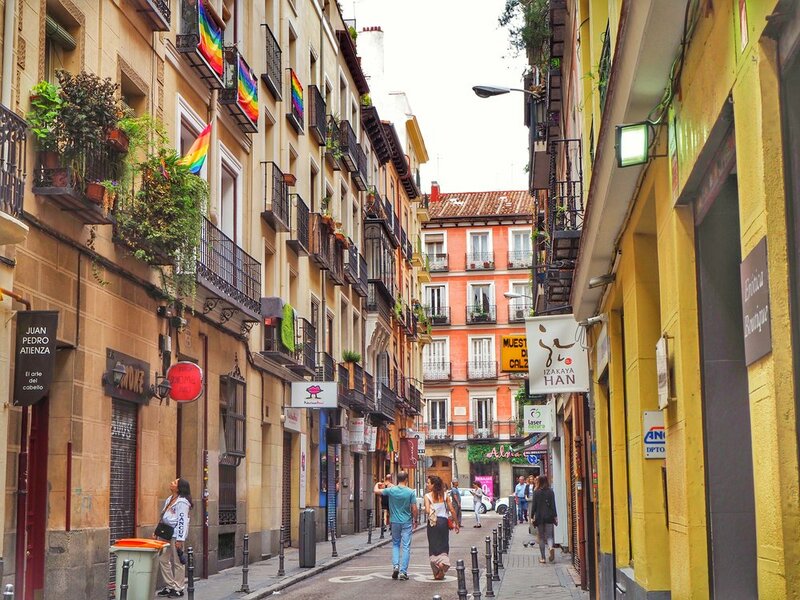 Madrid has so many fun things to do and to see! I would recommend Alcaravea restaurant (it's a bit fancy, but worth it). As for parks, nothing beats Retiro park. It's so beautiful and green! Thirdly, you should go and see the Royal Palace. If you don't like artsy things, you don't have to buy a ticket to go inside, but the outside and the Palace gardens (that you can see for free) are stunning! You can see all the best spots in Madrid in a weekend! 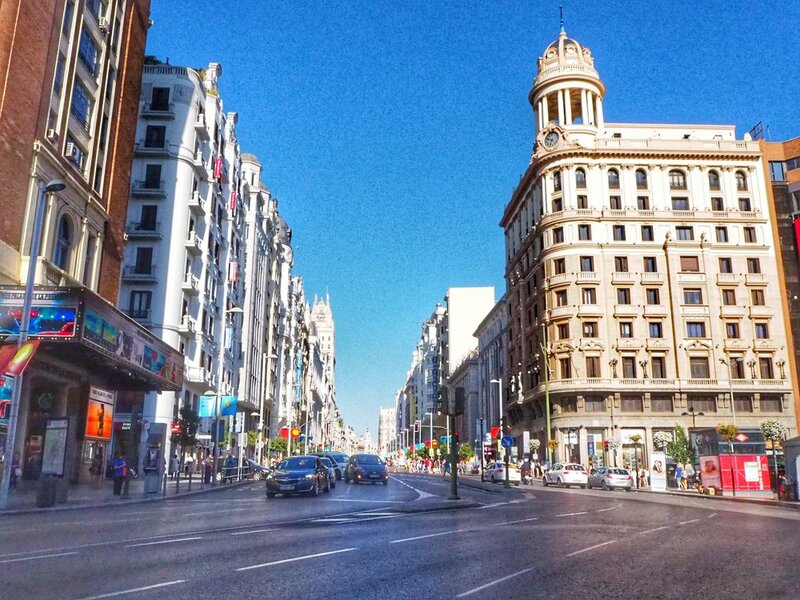 Go from Gran Vía to Sol, to Plaza Mayor, to the Mercado de San Miguel, to the Royal Palace. That's only one of the itineraries you can do in a day. I would say that the one must see is Retiro Park. I spend a lot of time there, running, meeting friends, having picnics, sunbathing, going for walks. The possibilities are endless! I miss my friends and family the most. I'm planning to stay in Spain for at least a few more years. I don't know where I'd move to after that though. I think that, ever since I moved to a hot weather country, it would be really difficult for me to move back to a cold weather country!! To read more about Helene's life abroad, head over to The HC Lifestyle Blog.